We owe a lot to the Med – it’s the birthplace of modern civilization. It’s also one of the most beautiful places on the planet – loved by yachtsmen, party-goers, naturalists, sports enthusiasts, shoppers, historians… The most popular resorts are now packed with great hotels, marinas or the hills lined with stunning luxury villas, but at the heart of most of them is usually something very natural – a great beach. Everyone will have their favorites, and a list of just eight means leaving some of our own perfect spots out, but here’s an attempt. Of course, the best way to find new favourites is to explore more! Italian beaches usually have easy to understand names, and Spiaggia Rosa is named for the pink rocks that are such an attraction of the island of Sardinia’s coasts. This beach is so special, we’ve included it in our list despite it being closed to tourists. Unfortunately some visitors were a little too keen on making a souvenir of the striking pink sand. 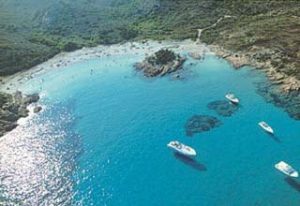 You can still see it though from Spiaggia del Cavaliere and no visit to Sardinia is complete without taking in this site and the surrounding La Maddalena National Marine Park, wonderful for underwater exploring, dolphin and whale spotting. A true natural wonder. 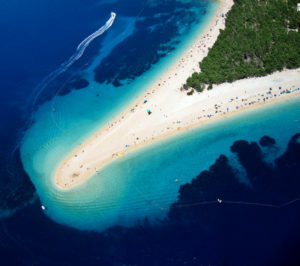 The island of Brac, off Croatia, has superb beaches all along its coasts. It can be crowded so an off-season visit might be a good idea or stay nearby so you can enjoy the beach at night – just as stunning. Zlatni Rat means Golden Cape and it’s the perfect peninsula with pines inland. The beaches here even move in response to tidal and wind conditions, and windsurfers love to ply their craft along this beautiful coast. A Roman villa with its own historic swimming pool shows what a naturally beautiful phenomenon this place is, and it’s protected for its geological character. Crete is no secret to holiday makers, but Nissos Chrissi could just be. There’s very little here and no-one lives here. 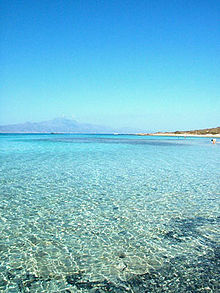 To see this beach you need to arrange a boat trip from the beautiful harbor village of Lerapetra out to this island. You’ll be dropped off in the morning and picked up around 5pm. The shores from which you depart aren’t bad either and are named the Golden Coast. Bring your snorkeling gear if you can. On Zakynthos, one of the most popular Greek islands, Navagio Beach is small enough that it’s always been impractical for it to be crowded. 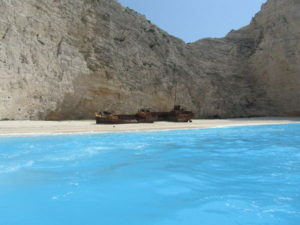 Locals call it Smugglers’ Cove and the shipwrecked ship will tell you why. The limestone cliffs and blue, blue water and white sand are the perfect colors of the Greek islands. You’ll need a boat to get here. This is where the photographers come on their first day on the island. On the south coast of Sardinia, Spiaggia su Giudeu, near the charming town of Chia might have been ordered from a catalogue of perfect beaches. A flawless stretch of white sand sloping down to a clear blue sea. Surfers love the waves and scuba divers the reefs, no-one’s troubled to ask the visiting flamingos why they dig it so. There’s a good golf course in the dunes too. Cala Olivera is one of Ibiza’s best kept secrets. You won’t find the ritzy beach clubs here and if you want to find some hippy inner peace you’ll need to bring your own yoga mat. In its own cove it has everything you need in a great beach – great water, great sand, peace and quiet. They say in Ibiza that the best beaches are the ones that are hardest to find and Cala Olivera lives up to that. Bring a picnic and prepare to mix with the lucky locals who know how to get here. 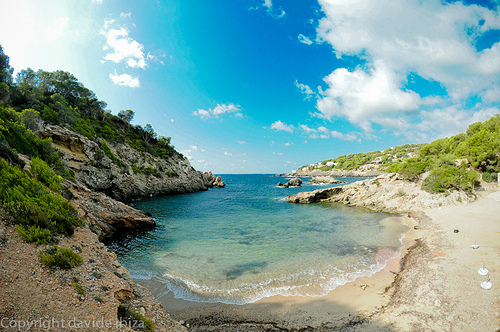 One of Mallorca’s finest beaches sits in a narrow cove on the south-east coast of the island. Pine trees provide great shade if you want to head off the sand for a while and the traditional fishermen’s shelters remind you that this island is much more than just a tourist playground. It’s not huge, but it’s a wonderful place for families to enjoy themselves together and great for snorkeling and other water fun. Nearby beaches are also top quality and the low-key facilities include a fun beach bar. Another Sardinian special. This one is named from the Prince who created the Costa Smeralda as a tourist and tycoon playground, the Aga Khan. It has everything that drew people like the wealthy potentate there – fine white sand ringed by typical Sardinian scrub, perfect waters (Smeralda means emerald) and a setting that will take your breath away. Despite all its very grown up attractions and accessibility to the top level hotels and luxury villas of the coast and the attractions of Porto Cervo it’s also great for kids. Finest Holidays can get you close to these and many more wonderful beaches from the Mediterranean to the Pacific. We specialize in the very best luxury villas, private islands, luxury hotels, luxury ski chalets and safari lodges in South Africa. 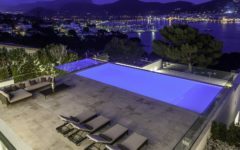 Take a look at our collection of properties online or call now on +34 971 13 15 41 to speak to an expert.